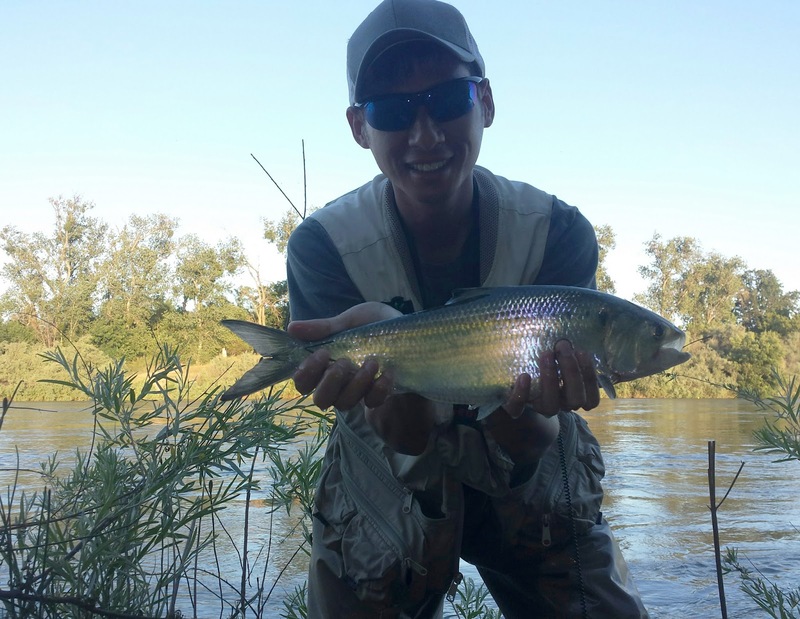 I'd be an idiot not to take advantage of Feather River's shad run. 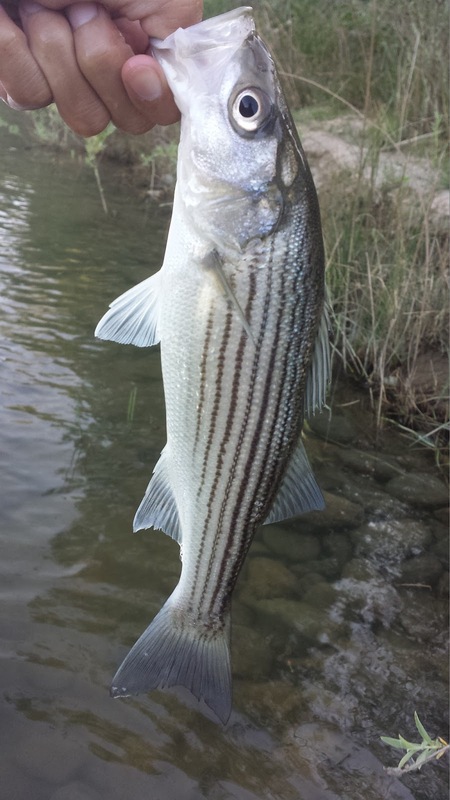 Living five minutes away from the Feather is quite the pleasure, especially when the fish are present throughout the system. Although it's still early in the run, there are plenty of shad around to provide enough opportunities to catch a few. Plan on bringing you're A-game if you want to find and hook one. "You tie you're own flies?" asked the boat angler in the middle of the river, "Yeah!" I replied loudly. "Seems to be workin' pretty good!" He yelled back. I gave him a thumbs up. Little did he know that I must have changed flies about a dozen times only to find that what was actually working was the presentation I was using. Patience and technique is the key. Gear anglers have the first but the latter is something that I'm not seeing while I'm out there. This is probably why the run I was fishing was lacking the usual combat crowd. 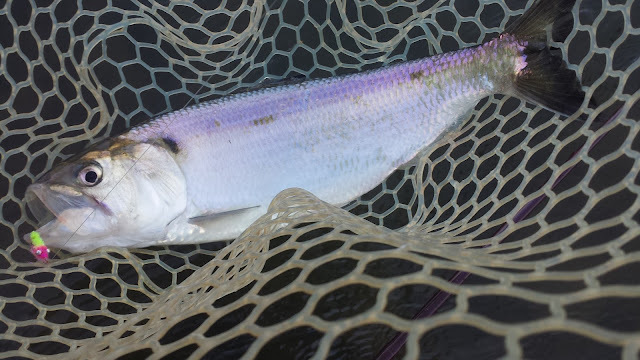 The majority of the shad anglers have moved to a hole where the shad are stacked up waiting to ascend upstream, fish that spot long enough and your bound to hook a few. The run I fish always produces shad but by no means am I hooking double digits, just a few in the net here and there. Not a lot of numbers but you can't beat having an entire run to yourself! After a few trips this year, I've developed a personal system to help maximize my shad fishing efficiency. This system involves utilizing several techniques to try and give the shad what they want to see. The good ole wet fly swing. A classic technique used for steelhead. Cast your sink-tip straight into the middle of the river (or at a 45° angle), mend to help sink the tip, and swing it across the current. This presentation gets the best grabs but seems to works the best during the "seven minutes in heaven" when the shad start hitting anything that gets in their way. During the wet fly swing hold onto your fly line with your line holding fingers (the hand your reel with) and pull it toward you then let the current pick it back up, then pull it toward you, then let the current pick it back up, so on and so forth. This presentation "yo-yos" the fly and can get you a few nice grabs. I've found that the shad like this technique before the "seven minutes in heaven" begins. The fish need a bit of enticing before they start getting super aggressive. Sometimes the shad just want a fast and aggressive strip during the swing. Change the amount of line you strip in to vary it up. You will often catch other species with this presentation, primarily striped bass. The strip is the usually the least productive presentation but it might get you a fish-on when nothing else seems to be working. This technique is passive like the classic swing but adds a slight kick to entice lethargic shad. During the wet fly swing snap the tip of your rod up and down. The grab will usually be at the end of the swing or in-between snaps. A jig during the hang-down is absolutely deadly when the fish are holding near the bank. For some unknown reason, shad will sometimes ignore your presentations until you change the pattern that you are using. Many times this year I've found myself fishing a good seam for over twenty minutes without single nibble until I changed flies. Change your flies often to try and figure out what pattern/color they're on.